R. Michael Burns – Forthcoming short story! Very pleased to announce that my short story, “The Roar of the Greasepaint” will be out in August in the new Evil Jester Press anthology Carnival of the Damned. What happens when an aging clown realizes he’s sold his soul for cheap laughs? Pick up a copy and find out! The antho also contains works by Hollie Snider (author of the novel For the Rank of Master), Amity Green (author of the novel Scales), and J. T. Evans, among others. 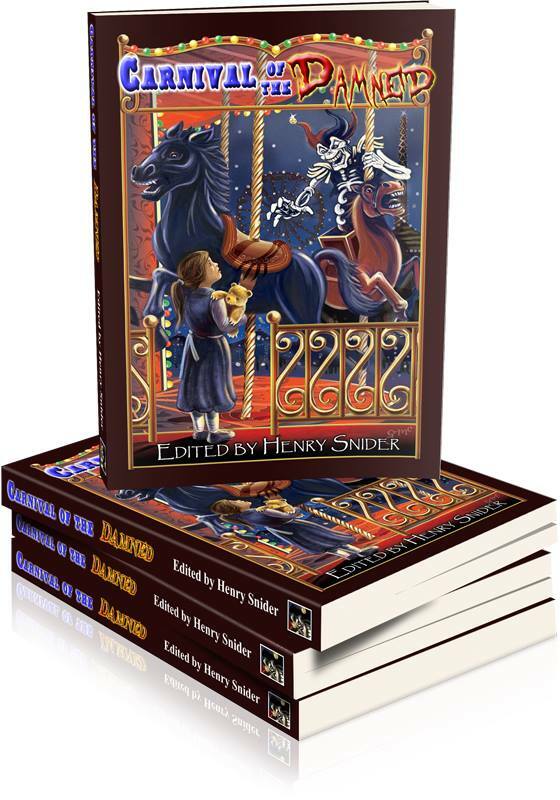 The new anthology from Evil Jester Press! Thanks for the shout out! I can’t wait to get my hands on this. It’s going to be creepy-cool and loads of horrific fun. That reminds me… I need to do a blog post as well. Perhaps I’ll squeeze that in tomorrow. My pleasure! Very happy to share another table of contents with you and Amity Green! If your contribution is the one I think it is, then, well, mine will seem like a warm fuzzy bedtime story by comparison!